Don't you just love the signs of spring? 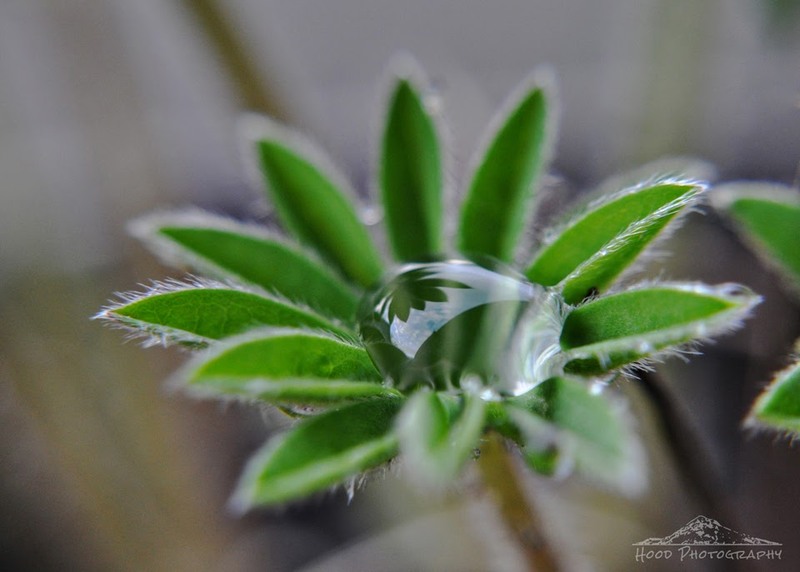 It doesn't get much more spring-like than this fresh lupine leaf, which captured a tiny pool of raindrops. Way to capture that raindrop sitting perfectly in the middle of the leaves! I've got daffodils blooming in my yard. Yahoo! Cool, great job in capturing it perfectly. I still have not managed to capture a water drop yet. Excellent shot! Sure, it's the right time, right place, having the camera, etc., but there's plenty of people (including me) that with all that would've still not managed such a perfect photograph. Nicely done.